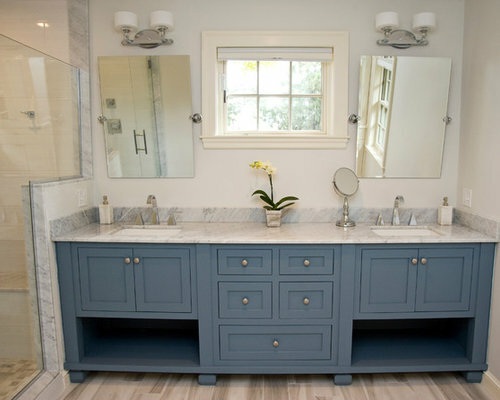 Our cabinet shop can build any vanity design given to them by our designer Marta Kruszelnicka. 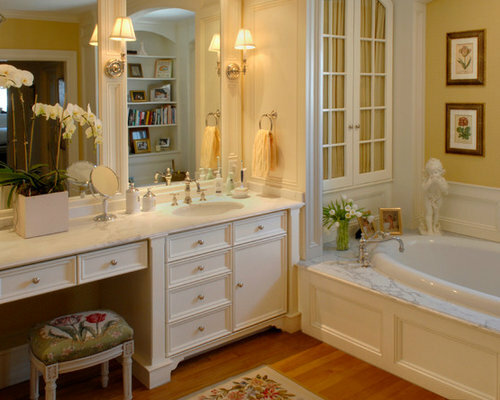 Double vanity with center dressing table. 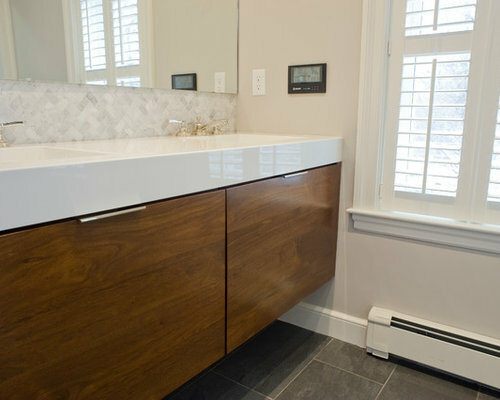 Matching Bolection moldings on doors, drawers, mirror frames and tub apron. Built-in shelving and glass door closet maximize storage options. 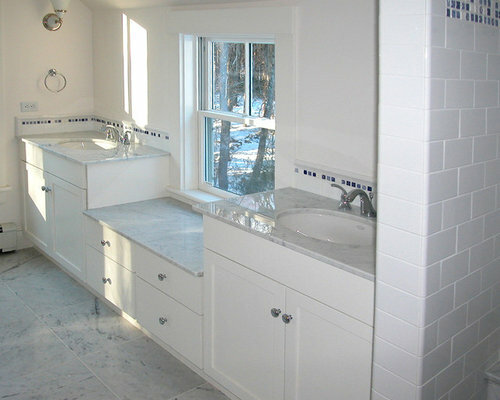 Carrara top on vanity and tub deck. 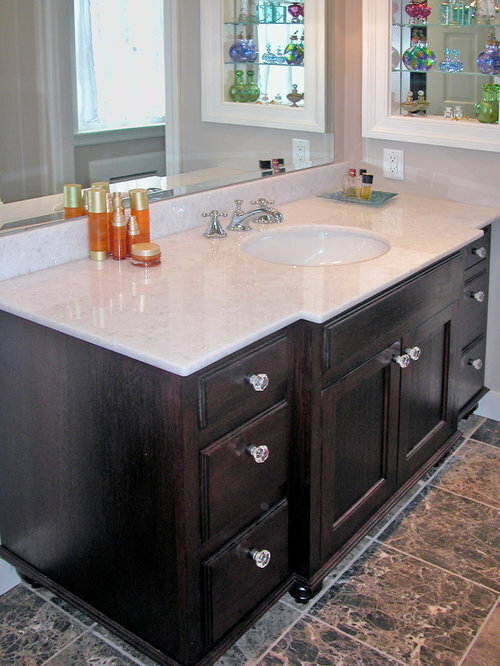 Contemporary mahogany flat slab vanity with front apron sinks and carrara top. 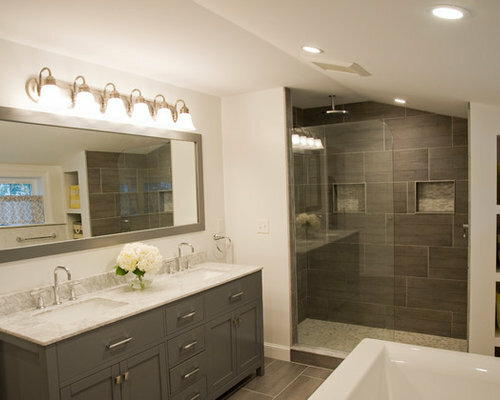 Sconces are set into large beveled mirror. 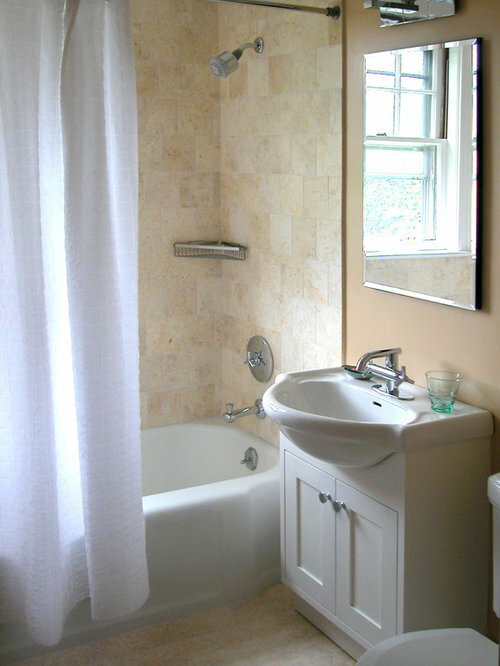 Full bath in small room. 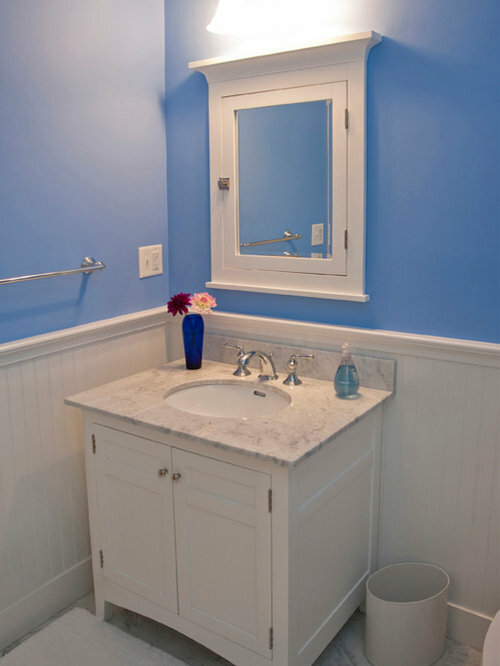 Shallow vanity with apron sink. Good solution for limited space. Tile is Galil Gold travertine 6"x6". 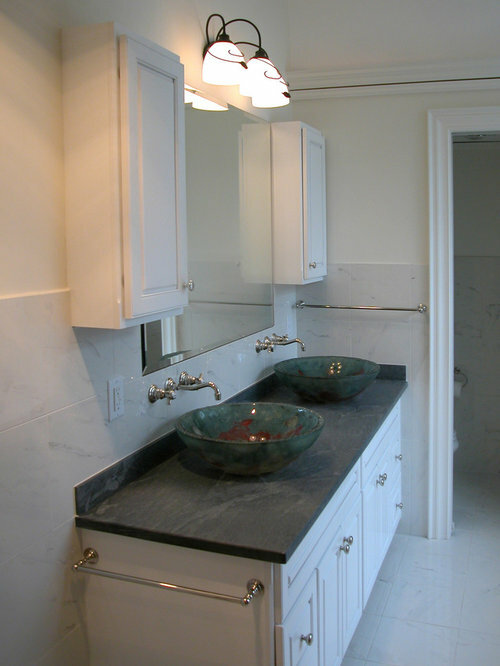 Shallow vanity with apron sink. Good solution for limited space. Shaker style cabinet doors. 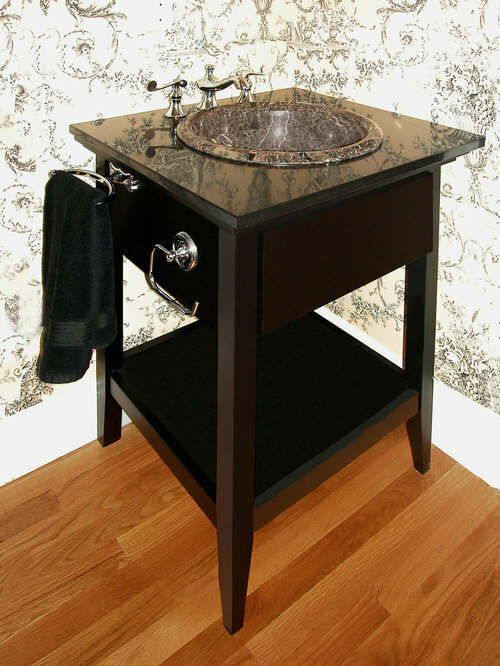 Single vanity with lower shelf and beadboard front set on legs. Naxos Marble top with protective back and sidesplash. 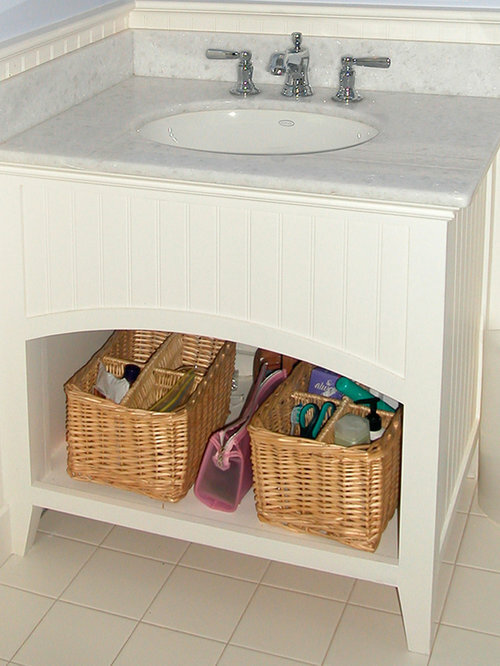 Handmade glass vessel sinks give this double vanity more storage space below. 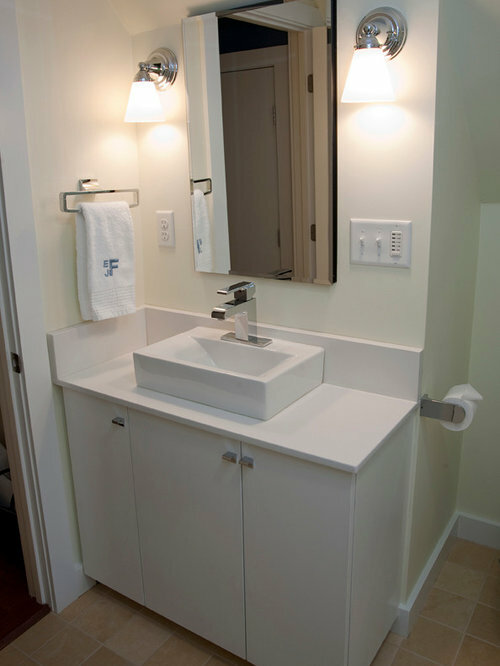 Wall mounted faucets also maximize space. Pietra del cardosa stone top. 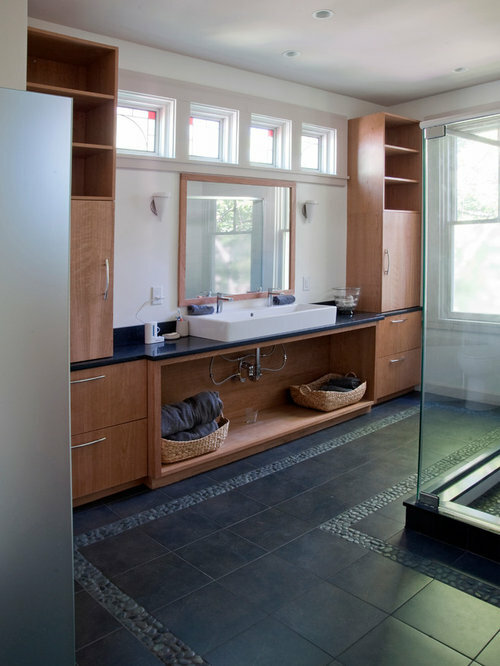 Flush medicine cabinets are also good solution to limited wall space. 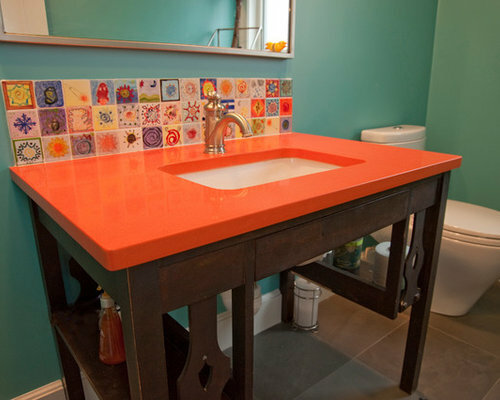 Integral sink and countertop made from Corian. 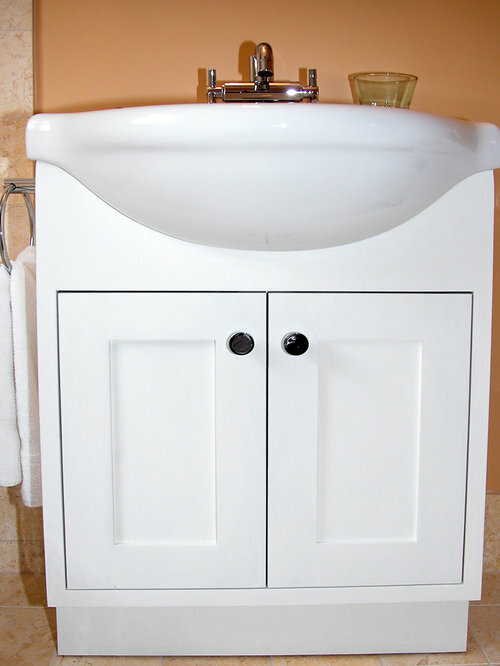 Large painted vanity has shaker style doors and flat panel drawers. Tall linen cabinet to patch. Double vanity with center bench seat and drawers. Shaker panel doors and flat drawer front. Carrara marble top. Refurbished desk becomes vanity in high use family half bath off kitchen pantry area. 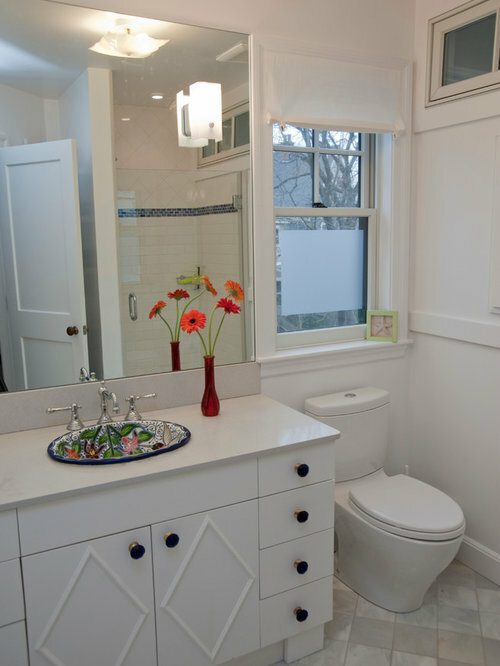 The whole family painted the tiles and mom designed the countertop and desk to make the tile this bathroom's focal point. Contrasting bluegreen wall color just pops the oranges and reds even more don't you think? Loads of personality! Toilet is water saving dual flush by Toto. 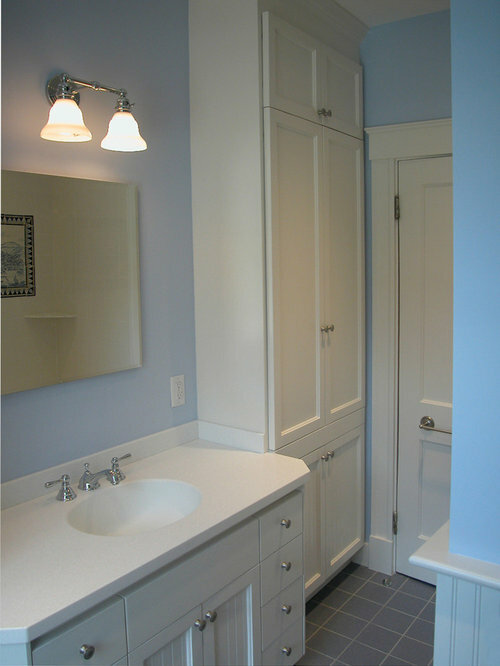 Kids 3/4 bath with shower, single vanity and hand made hand painted ceramic sink. Floor is 6" marble set on the diagonal and as end lot selection afforded a great price point. 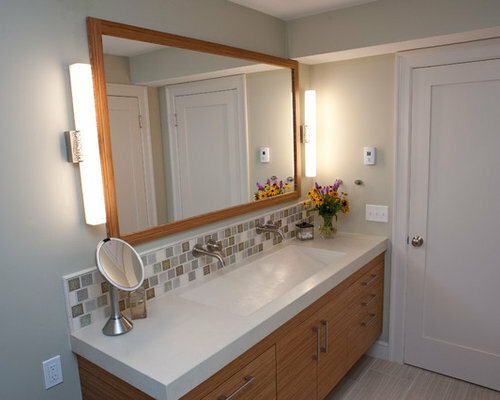 Notice how the sconce (there are 2 of them) are cut right into the mirror. Helps give a small room the illusion of 'bigness'.